Do you have a child entering elementary school in the fall? 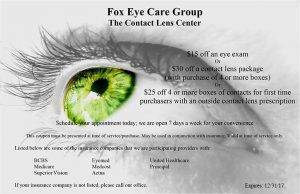 Remember to schedule a vision screening and eye exam! Our friendly, Greensboro optometrist will check your kid’s eyes to make sure his whole visual system is functioning with top grades. According to standards set by North Carolina on Early Childhood Vision care, all kids are required to have a vision screening or eye exam within 180 days of the start of the school year. Our modern Greensboro eye care office is equipped with precise technology and a first-rate team of eye doctors to check children’s eyes. Early detection and correction of an eye condition, mild or severe, ensures that your child will enter school ready to learn. That’s the reason why many states mandate a kindergarten eye exam. Just as children grow rapidly, so do their eyes. Vision develops very quickly in infants. In the first half year of life, eye mobility and focusing skills progress significantly. Once your child is ready to enter first grade, it is critical to inspect for acute vision. Kids tend not to complain when they can’t see perfectly, and many symptoms of a vision problem can be missed until children spend long periods of time in a classroom. Only a qualified, knowledgeable eye care specialist will be able to detect the early signs of many vision conditions that can interfere with learning. Don’t wait until your child is struggling in school – schedule a Greensboro pediatric eye exam to prevent problems before they appear! Vision screening with a standard eye chart doesn’t provide a complete picture of your kid’s vision. While nearsightedness, farsightedness and astigmatism are common diagnoses in children, our expert Greensboro optometrists will also inspect for problems with eye teaming (convergence), focusing (accommodation), eye-hand coordination, and lazy eye (amblyopia). All of these skills are necessary for kids to master reading, writing, math, and coordinated performance on the sports field. Lazy eye is typically diagnosed in kids between the ages of 3 – 6 years old. With this condition, one eye doesn’t develop properly. When left untreated, the weaker eye may never reach full visual capacity and vision loss can occur over time. The negative effects on education are enormous! As treatment, our Greensboro eye doctor will generally prescribe an eye patch, eyeglasses and/or vision therapy to help the deficient eye. The sooner treatment begins, the more efficient it is! Eyeglasses and contact lenses are the most common treatment for pediatric vision conditions. However, depending upon the problem, they are not always enough. In these cases, our Greensboro eye doctor may recommend vision therapy. 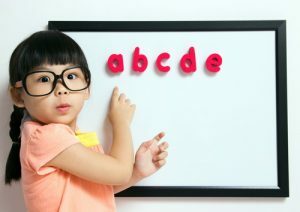 Your child will be provided with eye exercises and custom-designed sessions to strengthen his or her visual skills. Vision therapy can help kids of all ages overcome many ocular obstacles that get in the way of learning. Children’s eye exams are the first step towards making sure your child enjoys healthy eyesight. Contact our Greensboro eye doctors today to reserve a back-to-school vision test and eye exam before the school bell rings!